Send love to isolated seniors by assembling cups with tea and sweets to brighten the day of others. Who are we helping? Mugs of Love are donated to Meals on Wheels to help support their isolated senior clients. Individually wrapped cookies: milanos, oreos, etc. Decorate the cup with markers, if desired. Place 2-3 tea (or other beverage) bags, a large handful of candies, and cookies inside of the cup- the cup should look full. Place the cup inside the gift bag and close with twist tie or ribbon. Add a personalized gift tag onto the bag or add a note. Did you know? 1 in 6 seniors in Maryland struggles with hunger, this is often because some seniors have to choose between paying for expensive medications or food. Learn more about the issue of isolated and home-bound seniors and use our discussion questions with your family/group! Click HERE to Learn More! 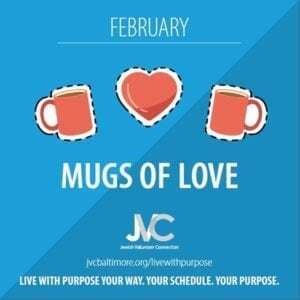 $18 for supplies for 10 Mugs of Love. 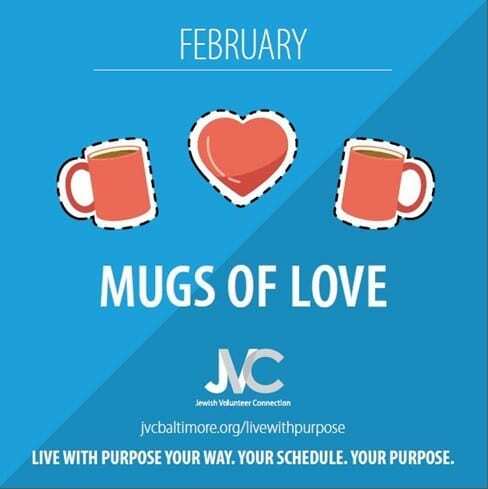 $18 for supplies for ten Mugs of Love. $36 for supplies for twenty Mugs of Love. $54 for supplies for thirty Mugs of Love.